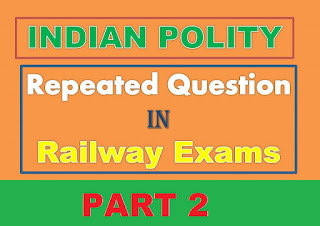 Indian Polity Previous year Questions repeated question in Railway Exams: HI Viewers welcome to the our web portal ssc-ibps.com, in this post we are sharing the previous year Indian Polity asked bits in the Railway Recruitment Board Examinations like as Assistant Loco Pilot (ALP), Group D, NTPC (Non-Technical Popular Category) Online Computer Based Examinations. in competitive exams each and every mark is very important to getting the central government posts. This time RRB Recruitment Board has announced more than 1 lakh post in different categories like as ALP, Track Man, Police Protection Force (RPF) constable exams. 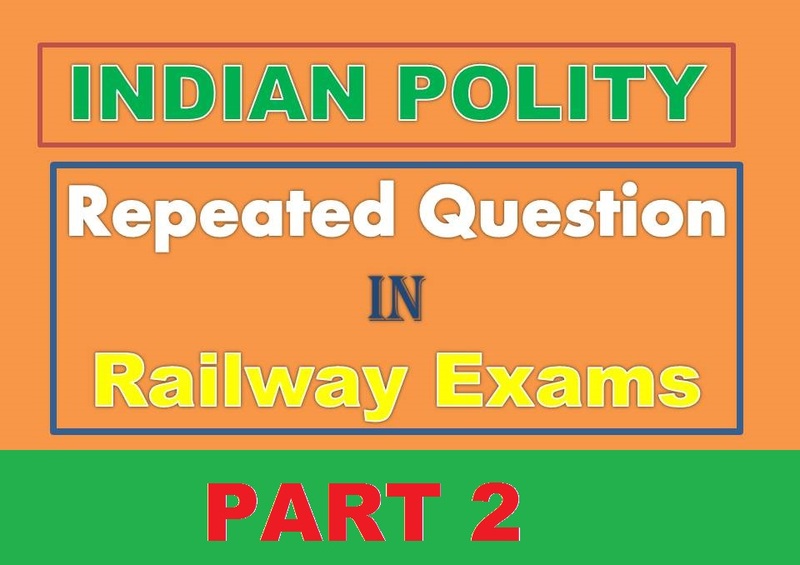 Below we are given the all previous year asked question in Railway ALP and Group D Exams. 2. Which is the upper chamber of state legislature in India? 3. Who among the following recommended to the parliament for the abolition of the legislative council in a state? 4. The total number of members in the legislative council of a state cannot exceed? 5. In any state of India, legislative council can be created or abolished? 6. Which one of the following is the period for the legislative council to detain the ordinary bills? 7. Procedure for creation of legislative council in states has been described in which article of the constitution? 8. Which one of the following states does not have a bicameral legislature (i.e vidhan parishad + vidhan sabha)? 9. The maximum number of members that the legislative assembly of a state in India can have is? 10. Which of the following states/union territory has a legislative assembly consisting of only 30 members? Friends are you like these questions with answers in polity please share to your friends on social media or any platform. If you have any important bits, topics or which topic based on question you want for known previous year question comment on below comment box or mail to[email protected] thank you for reading. Any suggestions please comment.